A solid-state drive will significantly improve the speed and performance of your desktop PC or laptop. 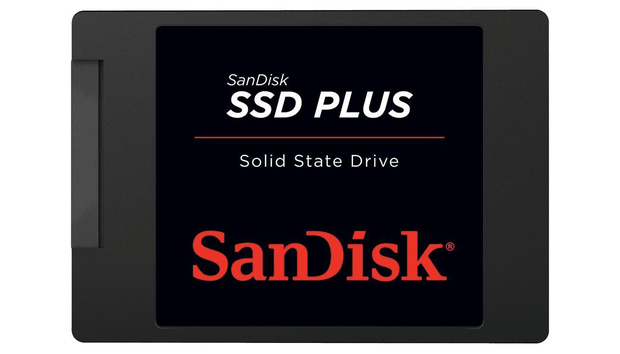 SanDisk’s 960GB SSD Plus is a solid option to do just that, and right now it’s on sale on Amazon for $200, down from a list price of $270. That’s a 26 percent discount. This SSD, designed to be shock-resistant of course, is made without moving parts, so it will survive a bump or drop. Sequential read speeds up to 535 MB/s make this SanDisk drive run up to 20X faster than a typical hard disk drive, meaning your computer will boot up, shut down, and run apps more quickly. Load your OS and favorite apps (and games!) onto this drive, and you’ll find the performance boost intoxicating. Though we haven’t tested this SSD ourselves, it has 4.5 stars out of 5 on Amazon with over 1,000 user reviews. Reviewers cite its reliability and “dramatic speed increase” as reasons to buy. Now, if you want to buy an SSD we have tested, or just learn about SSDs in general, and why you need one, check out our Best SSDs of 2018 buyers guide.